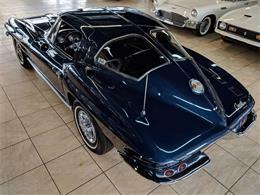 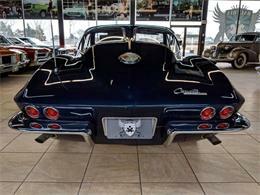 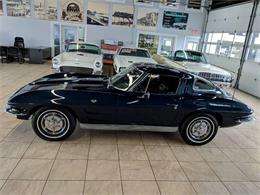 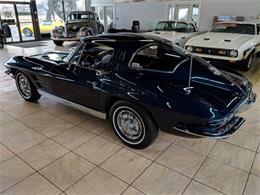 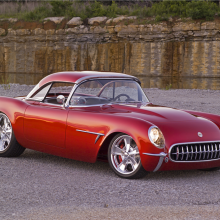 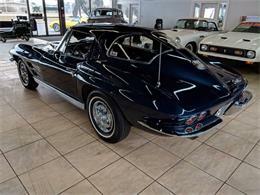 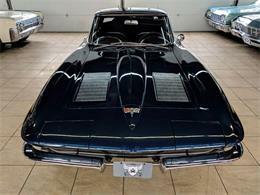 A true Corvette Sting Ray Split Window! 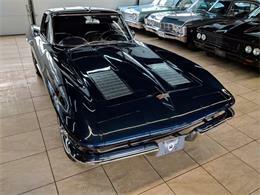 This 2nd generation of Chevrolet's most famous sports car is equipped with a numbers matching 327/300 HP V-8 and 4-speed manual transmission. 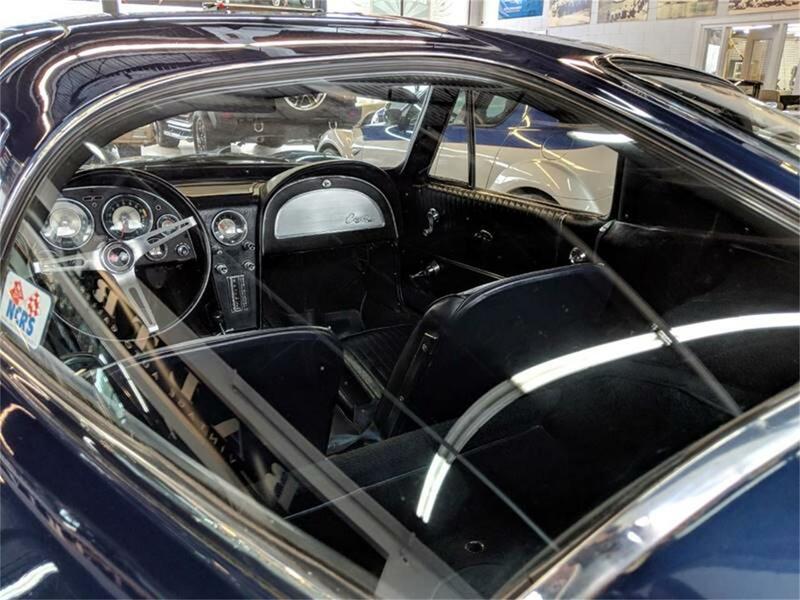 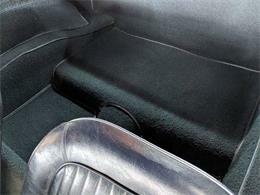 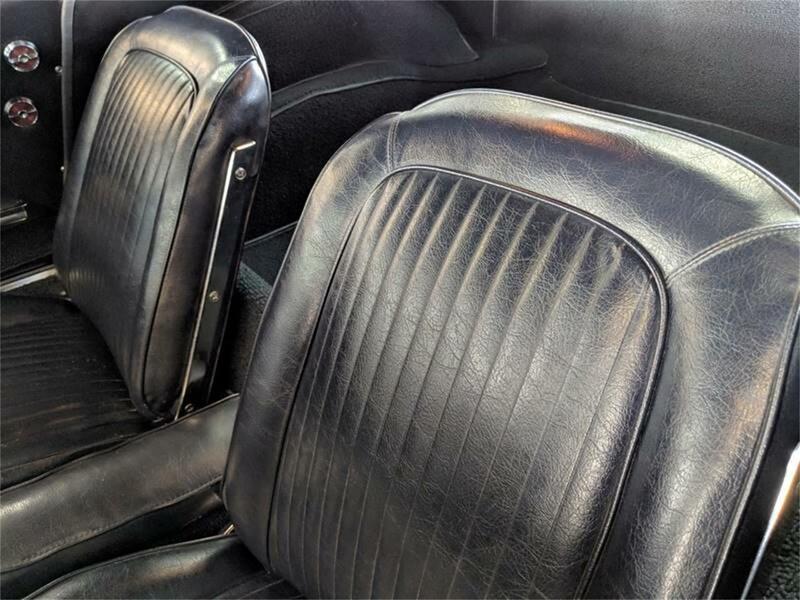 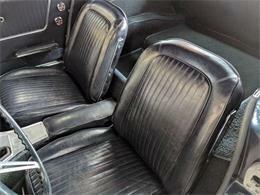 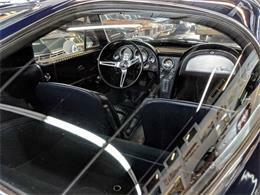 The vehicle also has the correct Daytona Blue paint and Dark Blue Vinyl interior trim. 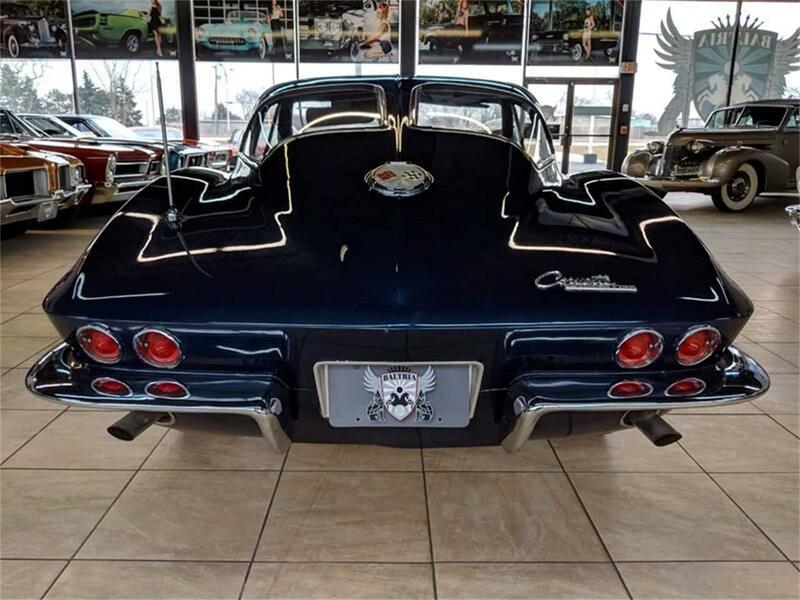 Notable exterior features besides the split window fastback design include: doors cut into the roof for ease of entry/exit and hideaway quad headlamps incorporated into the front end so as not to disrupt the sharp leading edge. 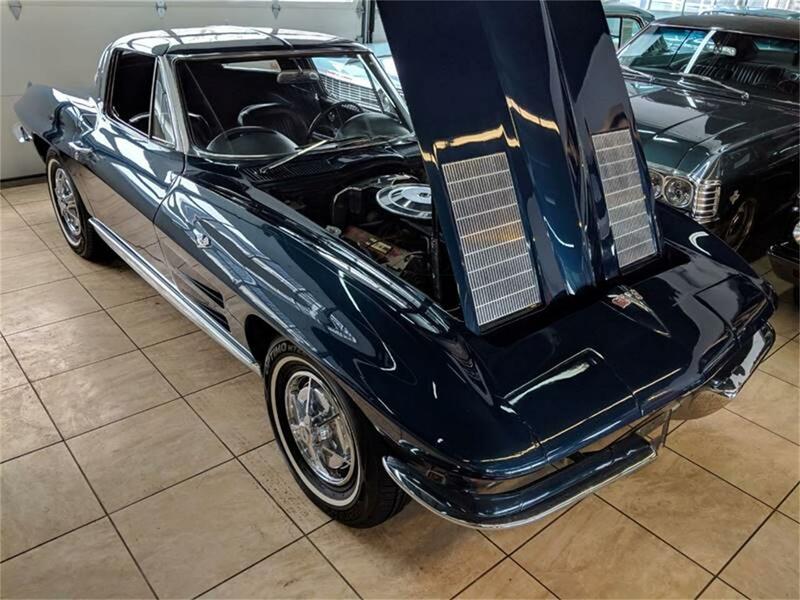 Simulated air intakes were included on both the hood and rear pillars, though the hood units would be a 1963 model year exclusive. 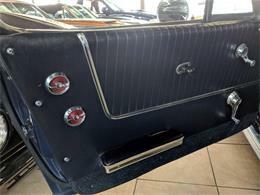 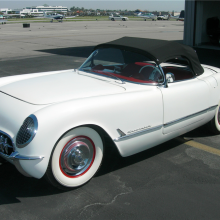 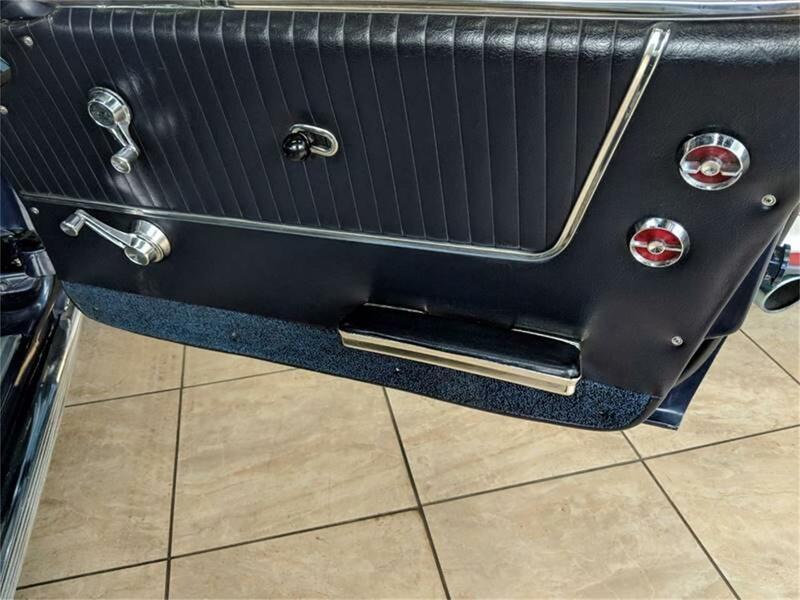 Even the large emblem on the rear decklid was functional and served as a hinged cover for the fuel filler neck. 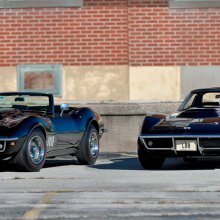 The unmistakable design of the C2 originated from some of GM's most brilliant engineers. 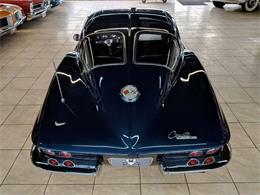 and was the near perfect cross of both artistic interpretation and aerodynamic design. 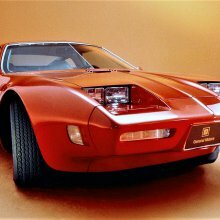 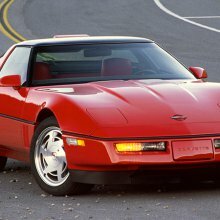 Both the convertible and coupe body styles were subjected to wind tunnel testing - a first for the Corvette. 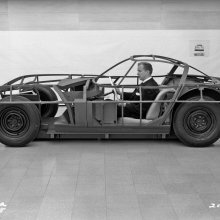 Thinner fiberglass outer panels were implemented over the previous generation, but these helped offset the weight of the additional steel support in the central chassis. 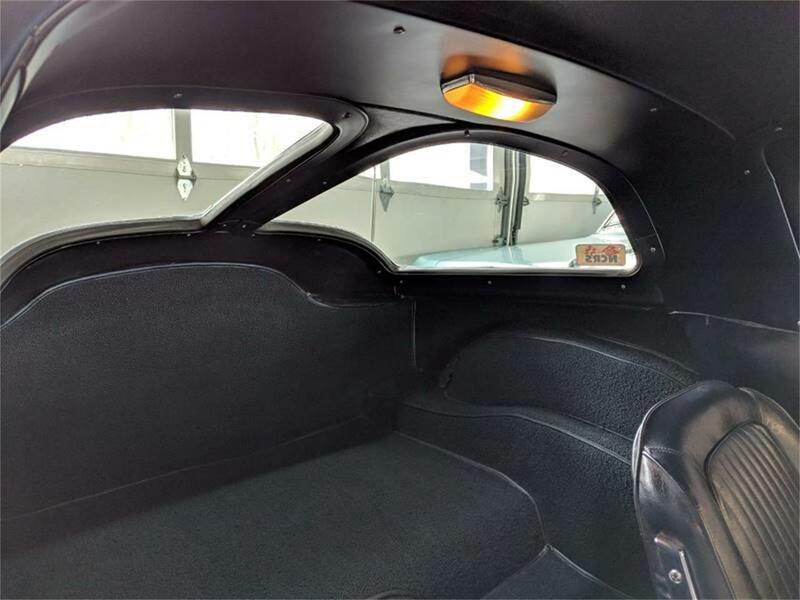 The steel structure helped reinforce the vehicle and surprisingly didn't hamper passenger room in the interior. 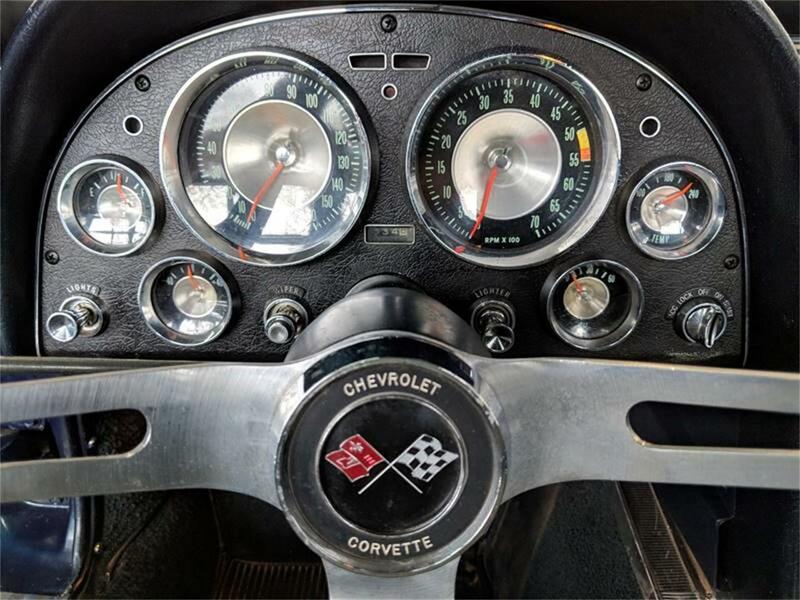 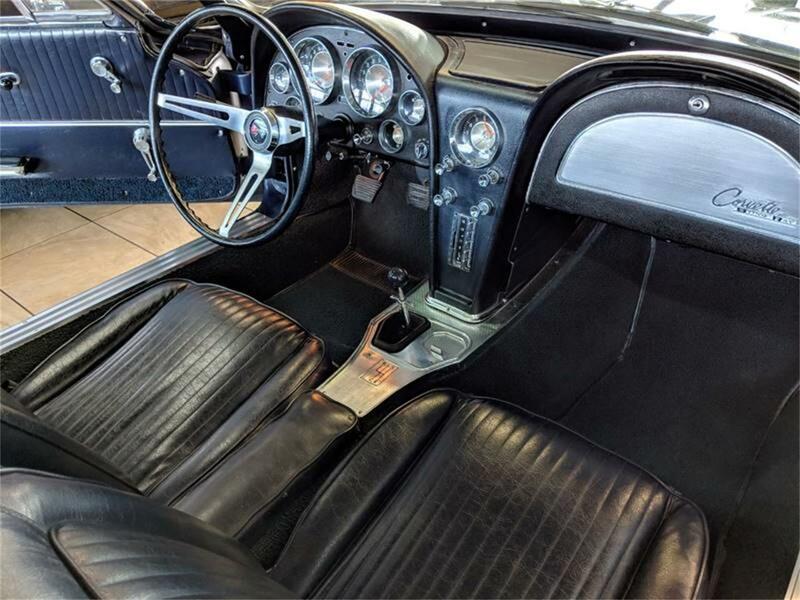 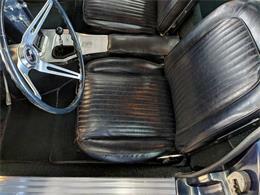 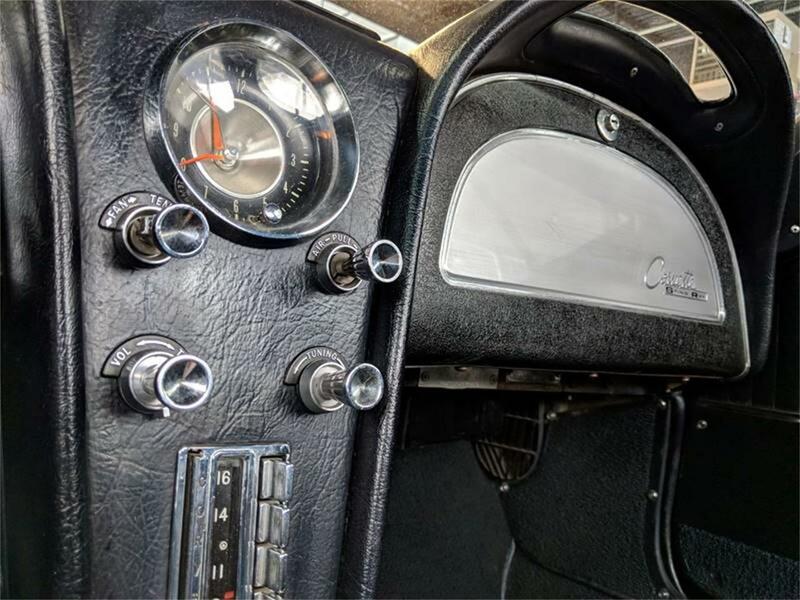 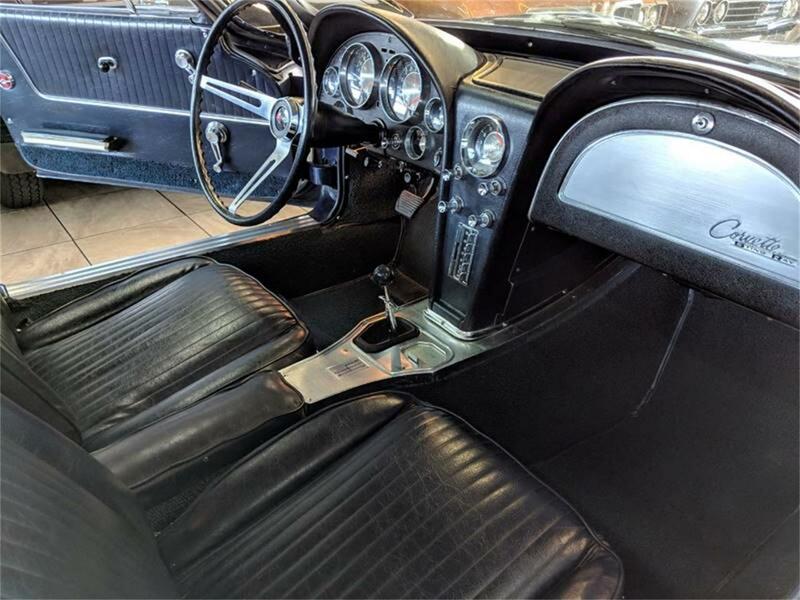 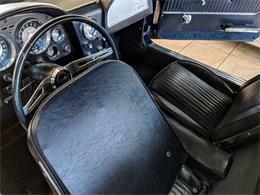 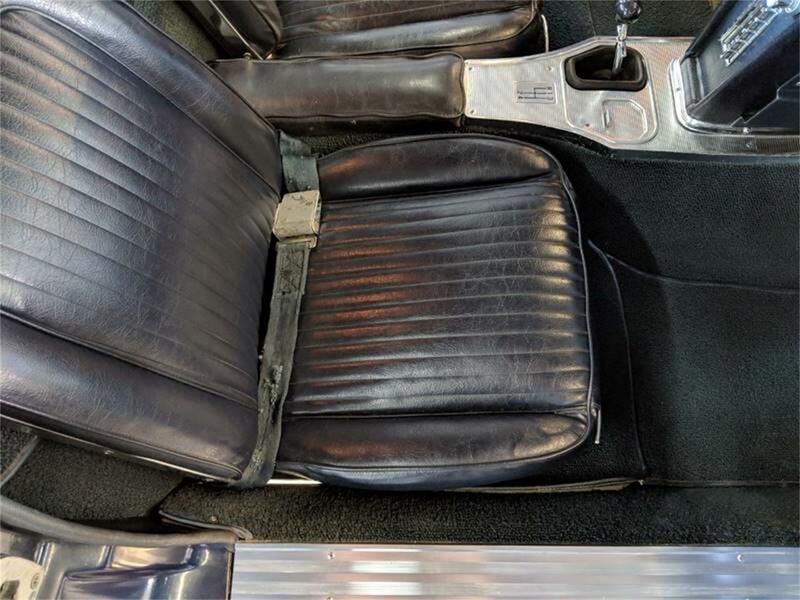 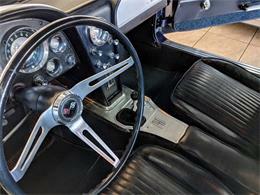 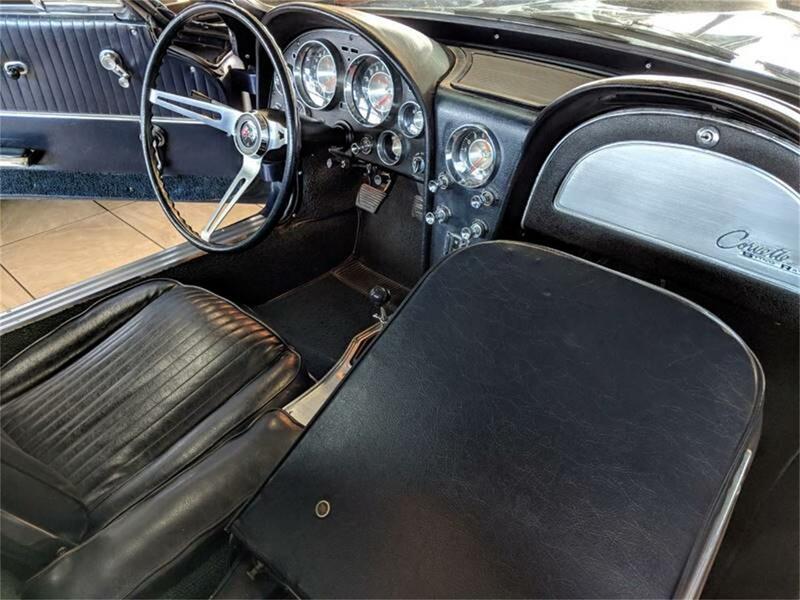 Corvette passengers were greeted by a new interpretation of the familiar twin-cowl cockpit design that was divided by a center console housing both a clock and vertically-oriented radio. 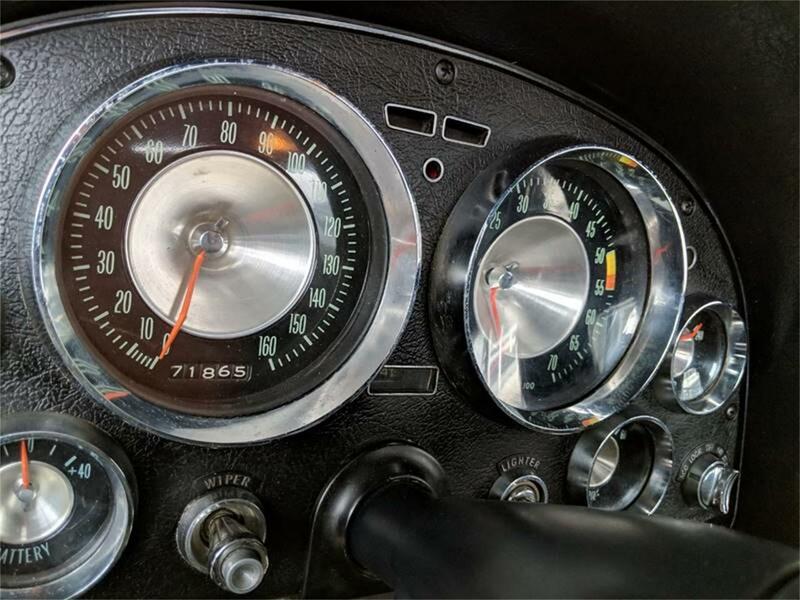 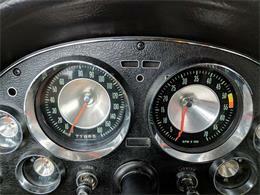 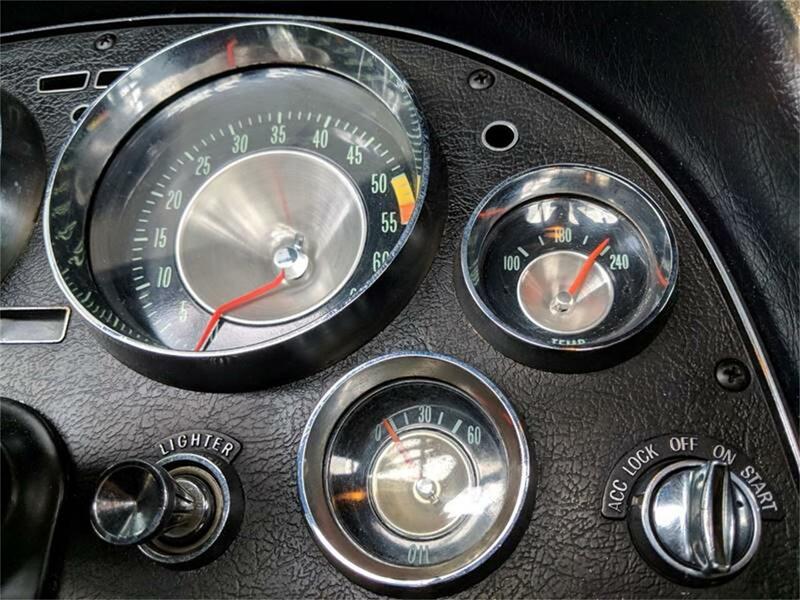 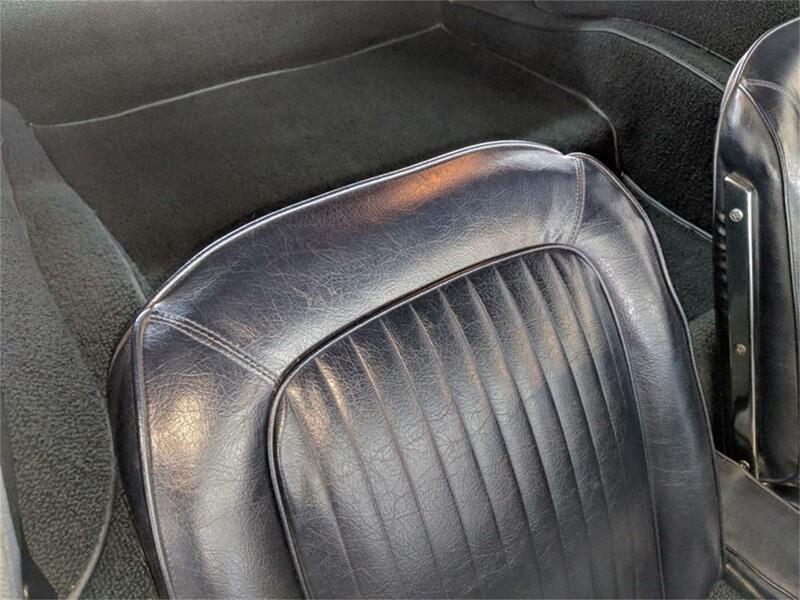 A large speedometer and tachometer gauge, as well as improved luggage space were also and the inclusion of a glove box improved convenience. 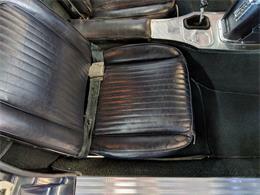 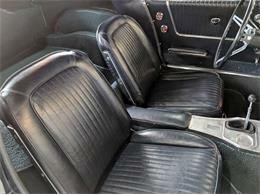 Less visible features, but equally convenient were a cowl-ventilation system and improved heater. 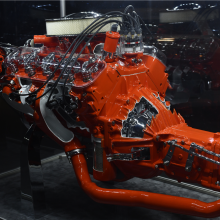 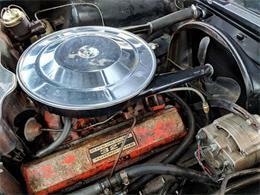 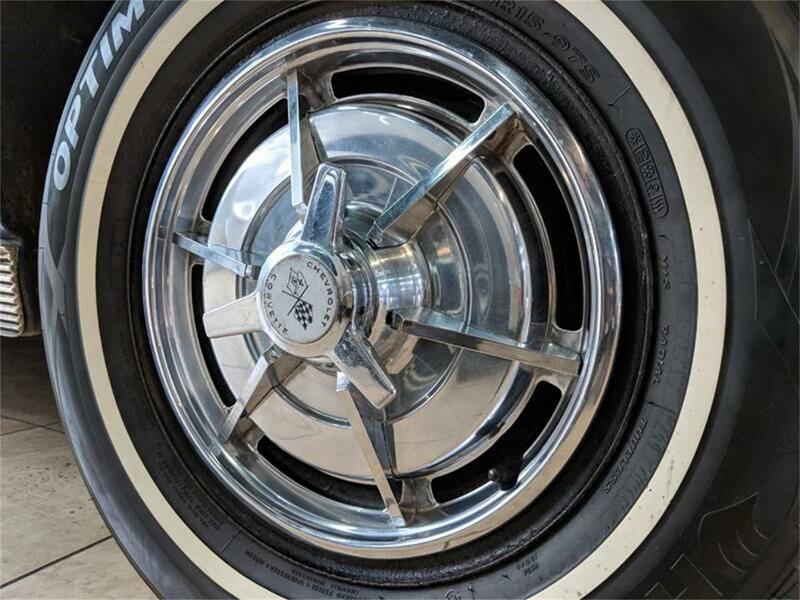 Mechanically there were several changes: an improved recirculating ball steering system helped with maneuverability, while wider drum brakes were fitted as standard and helped bring the car to a stop. 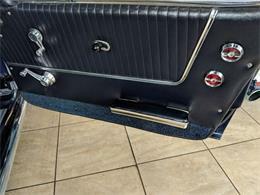 Power assist braking was also an option at the time and is present on this vehicle. 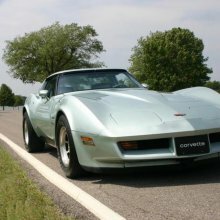 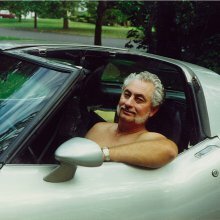 C2 Corvettes also benefited from an aluminum clutch housing, efficient alternator, positive crankcase ventilation and a smaller flywheel. 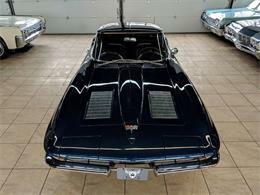 Underneath this Sting Ray is open rear end, independent rear suspension and A-arms with coil springs in the front. 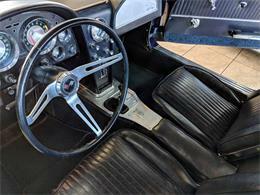 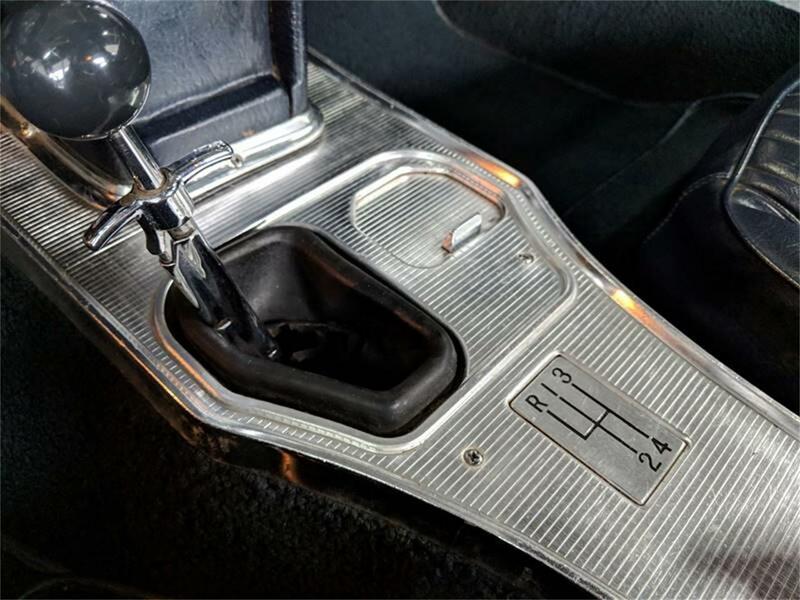 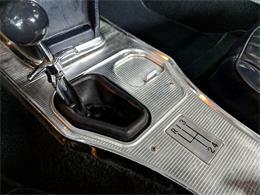 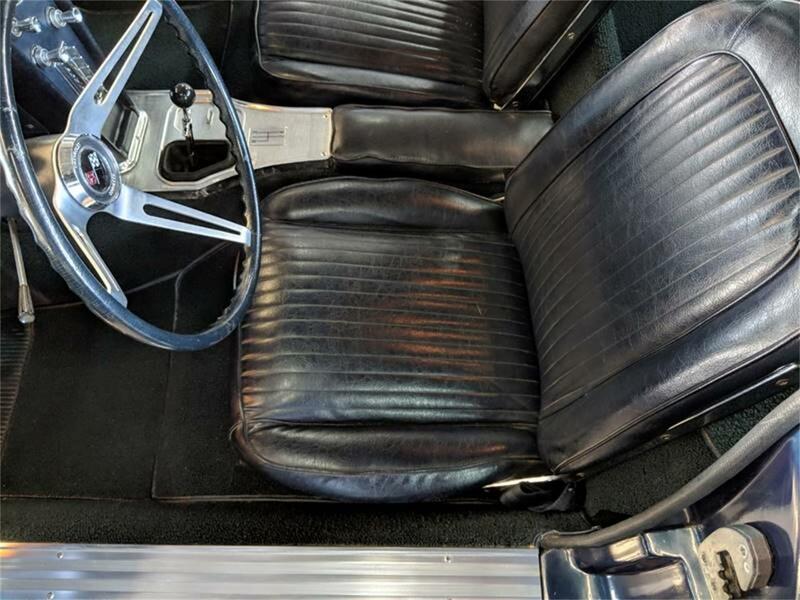 Several different 327 V-8 options were available along with the choice of a standard 3-speed manual, optional 4-speed manual or 2-speed automatic transmission. 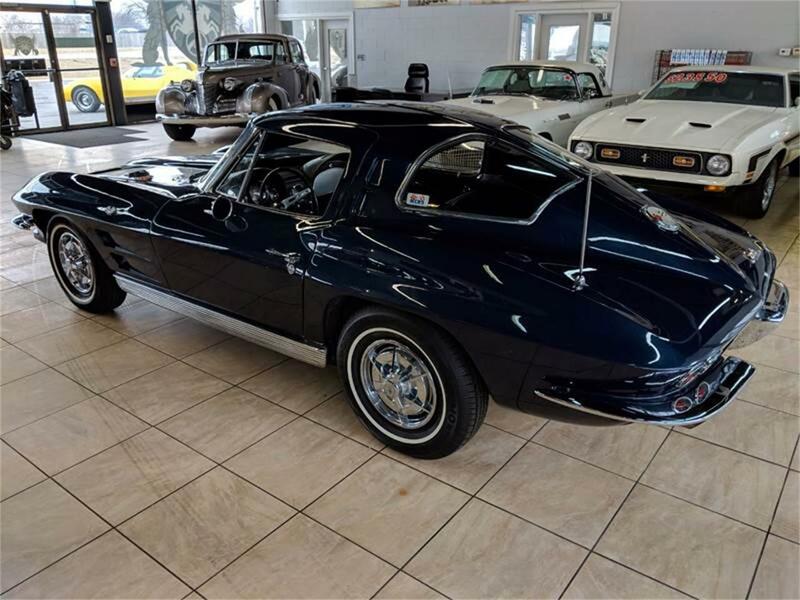 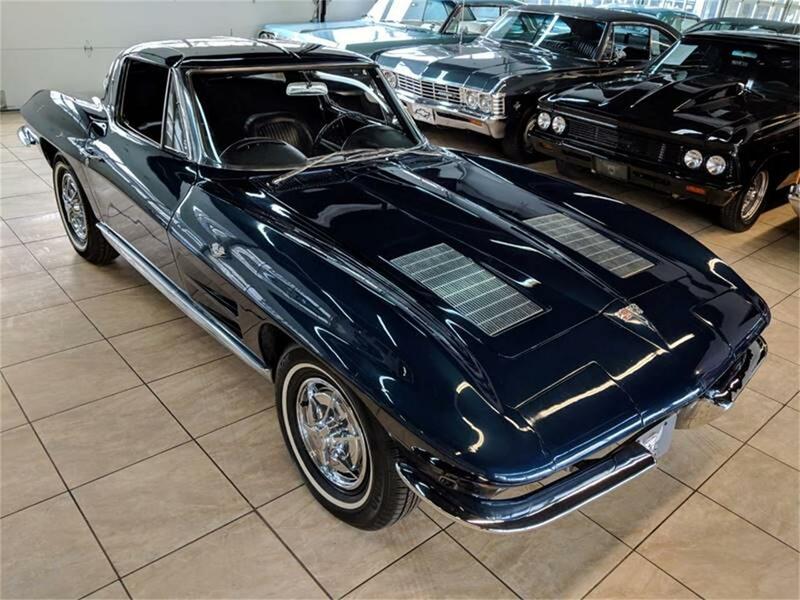 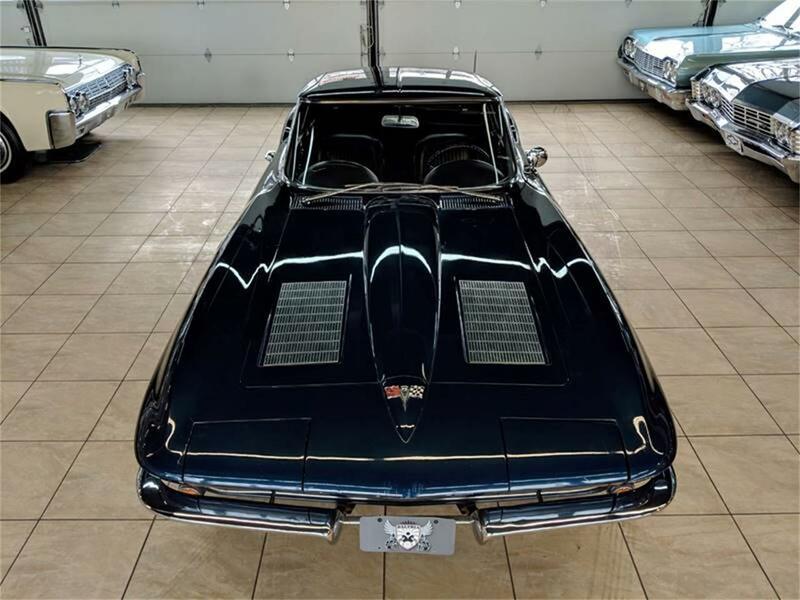 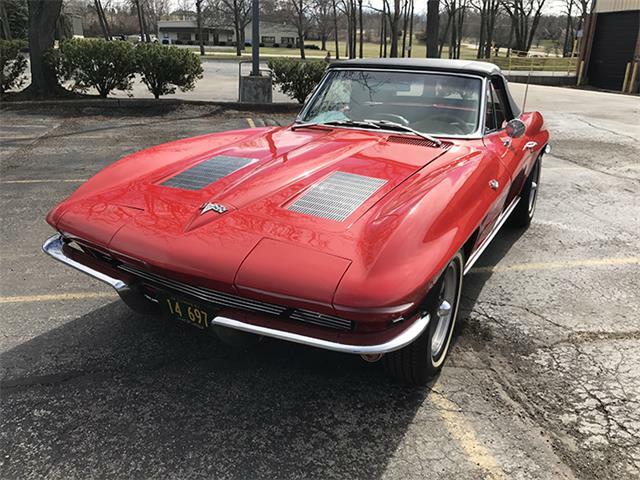 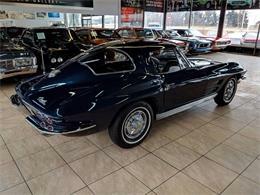 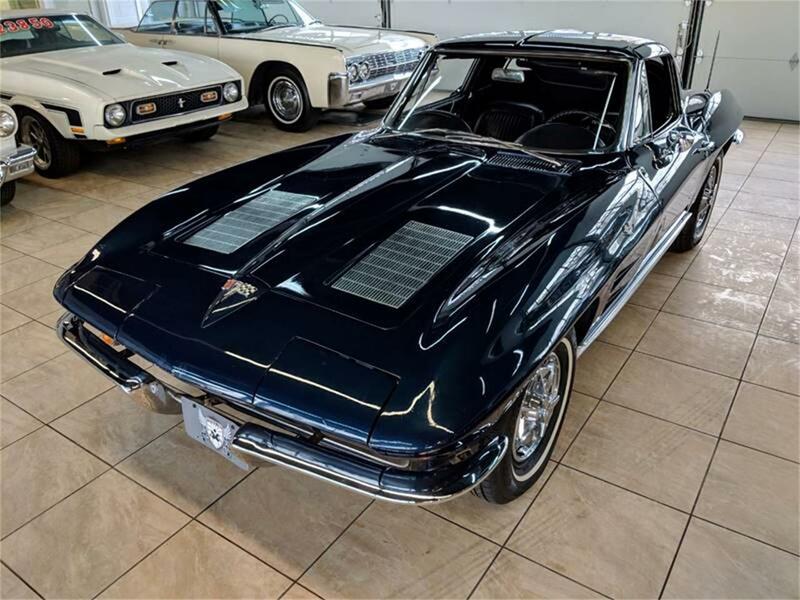 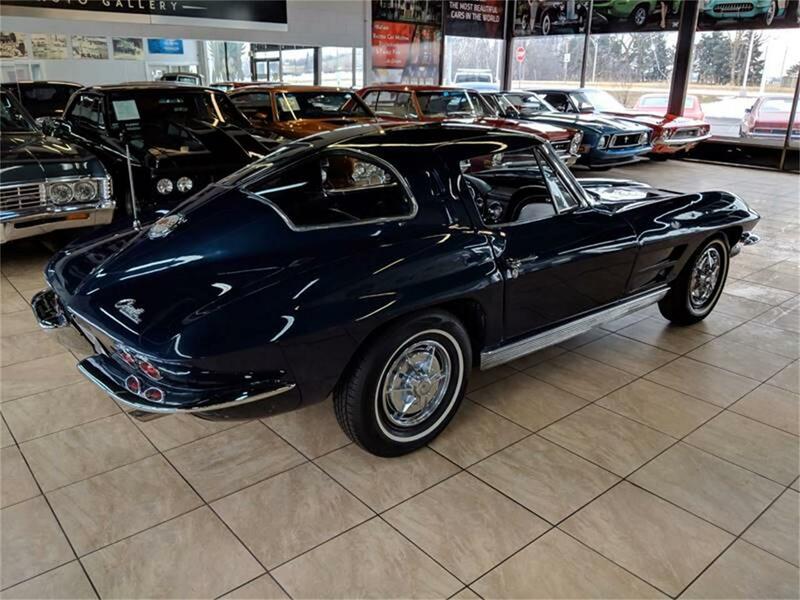 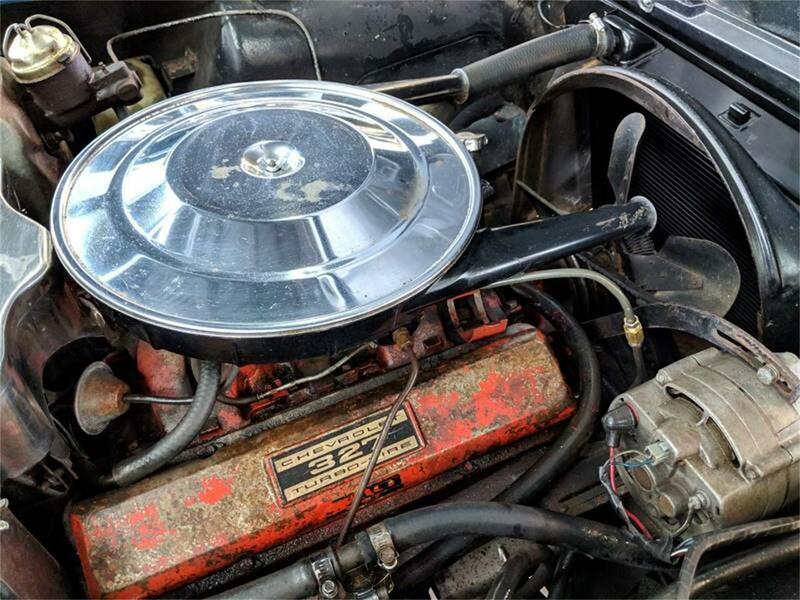 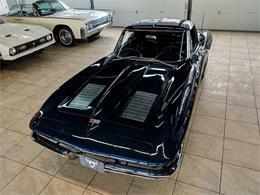 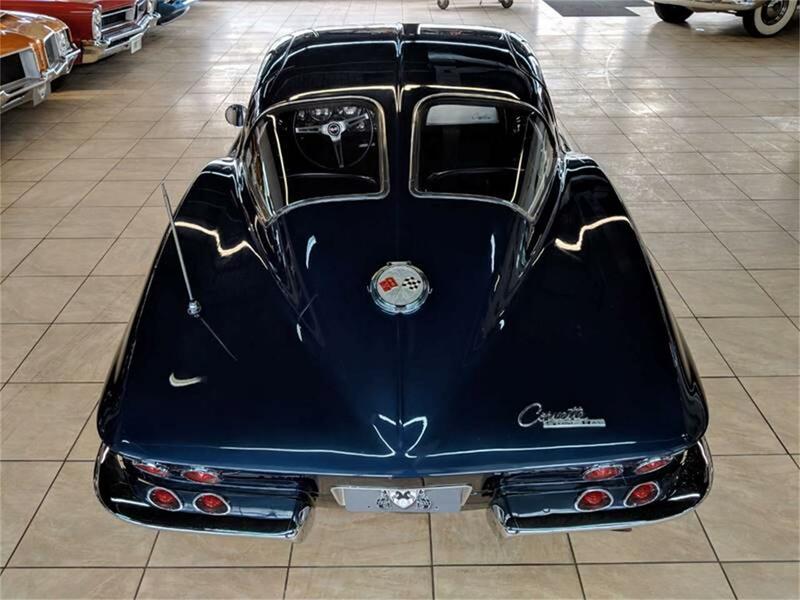 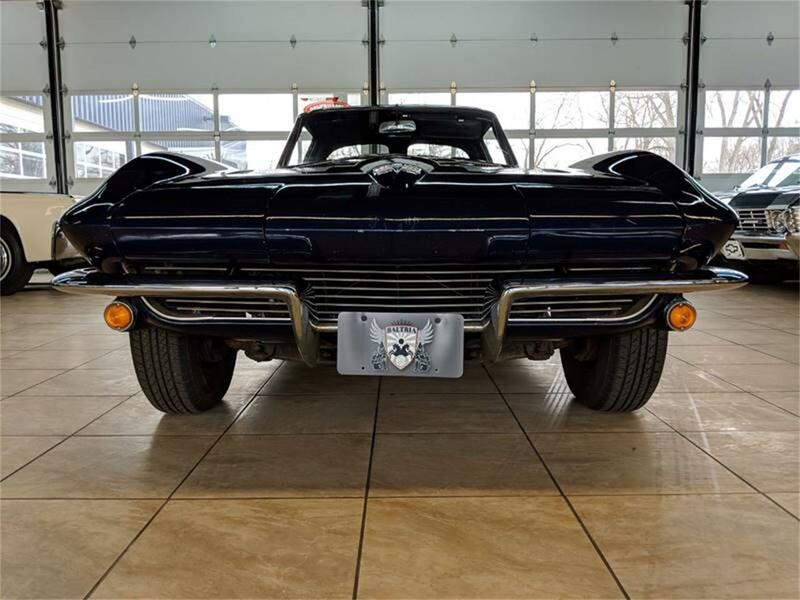 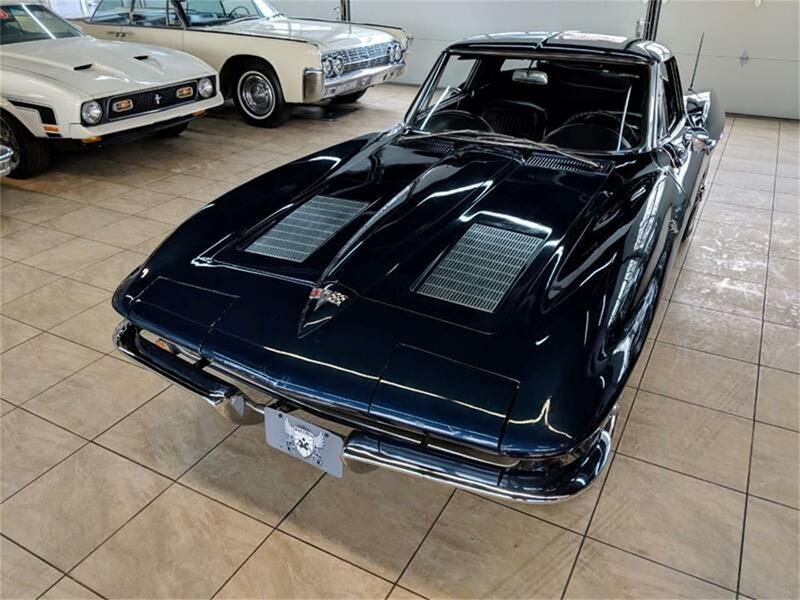 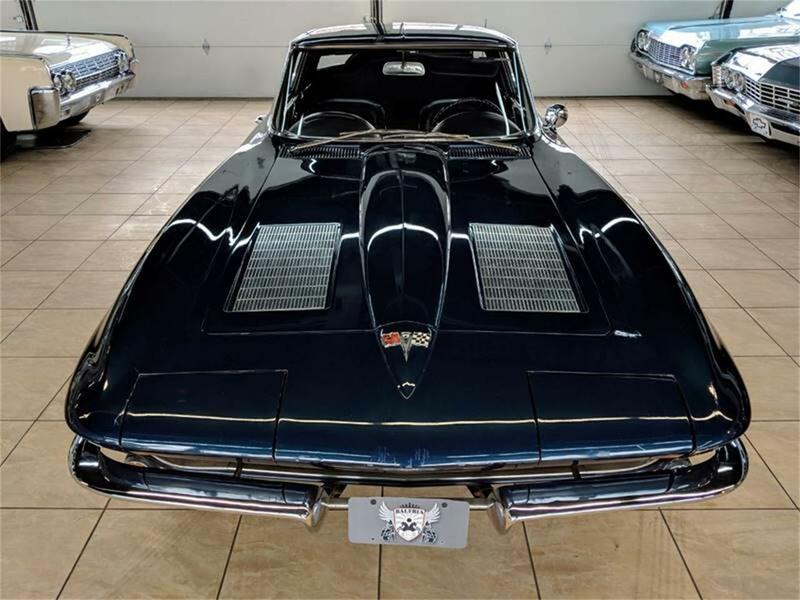 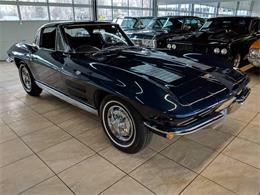 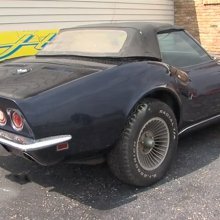 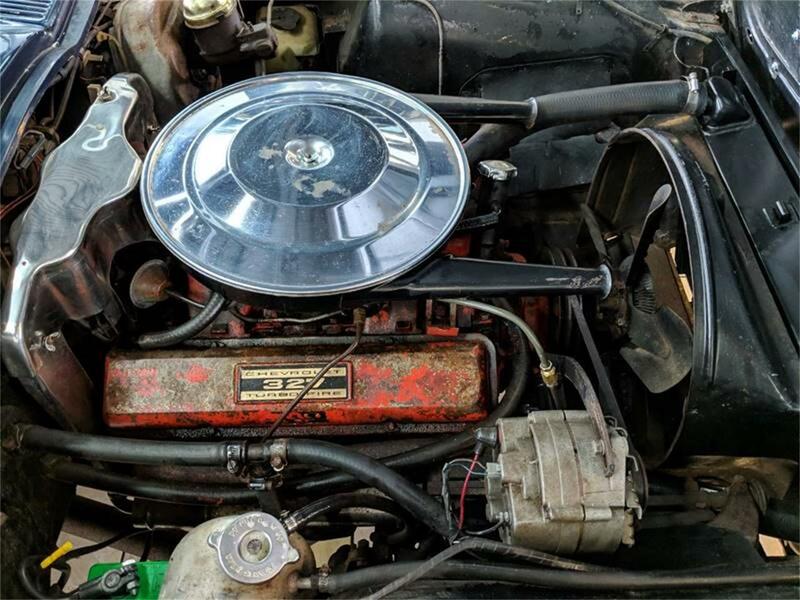 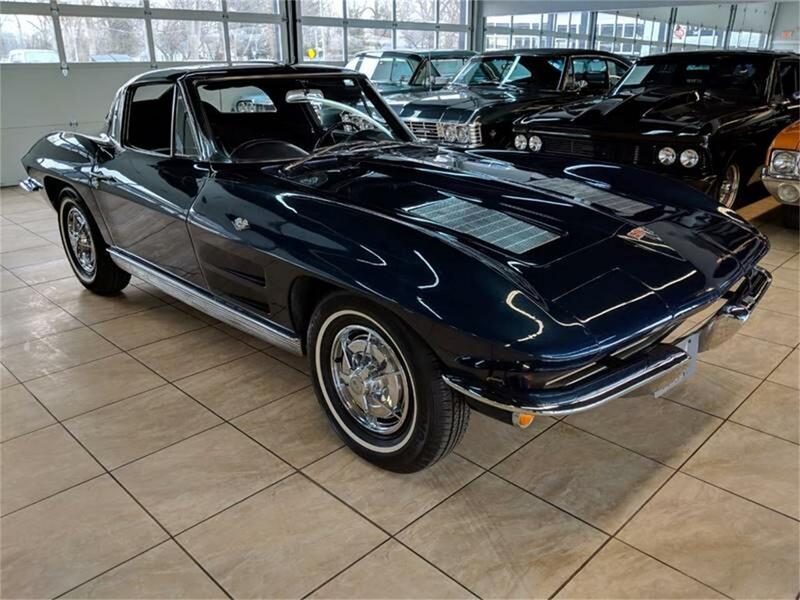 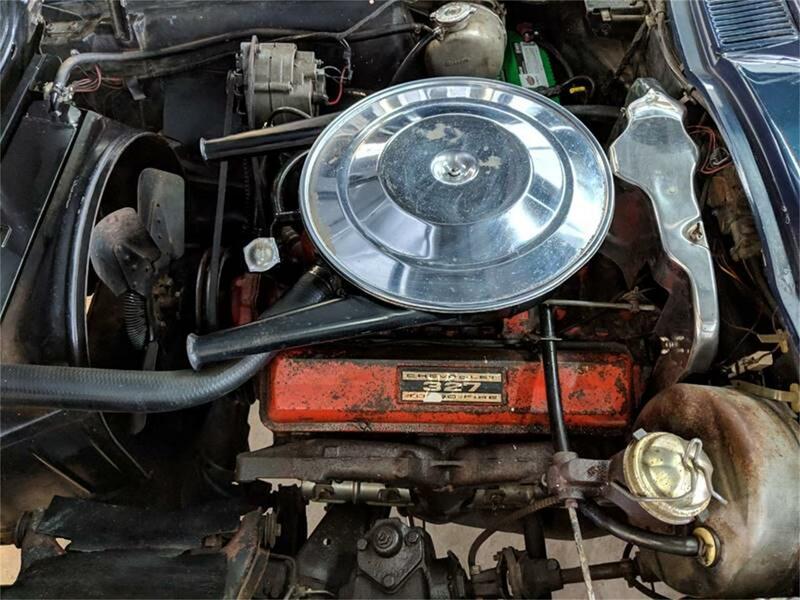 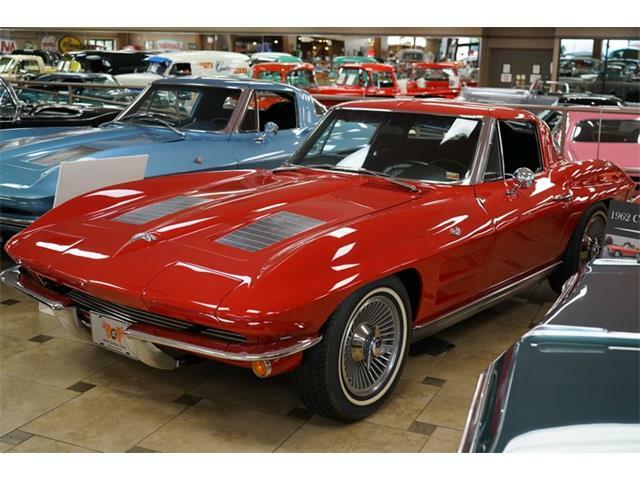 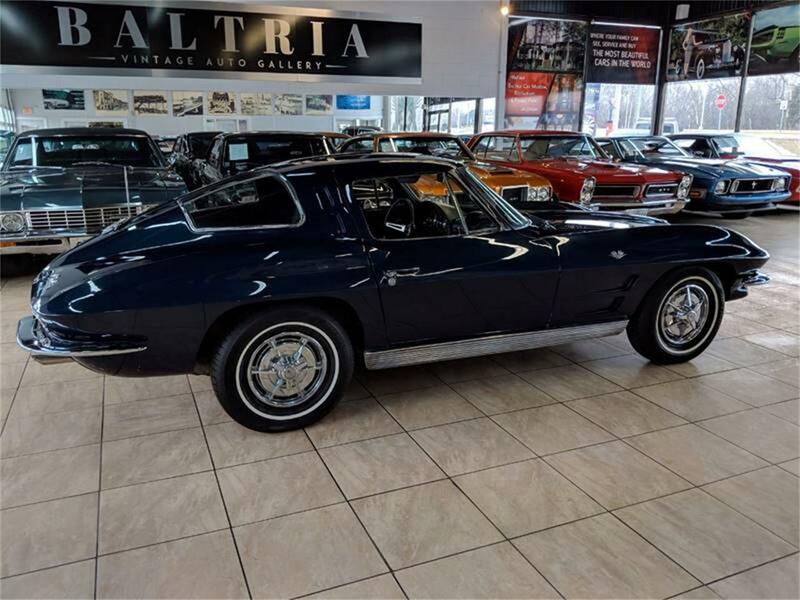 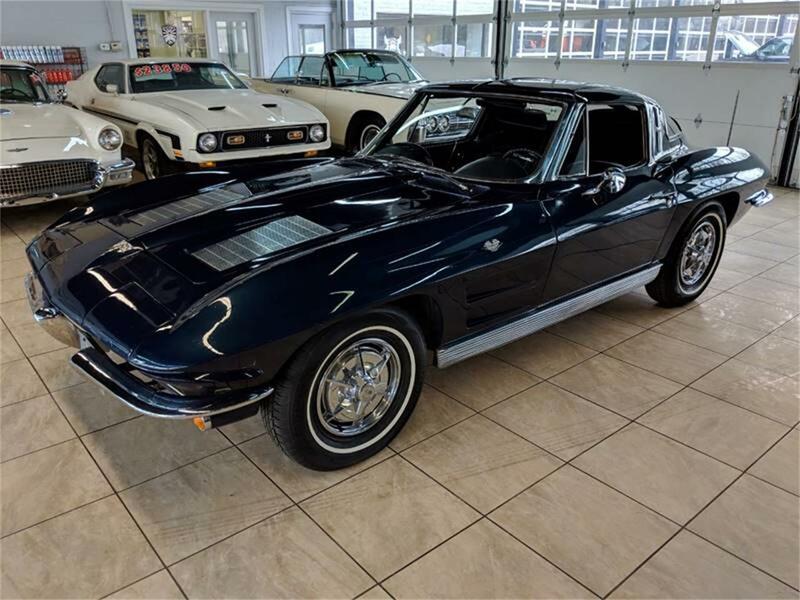 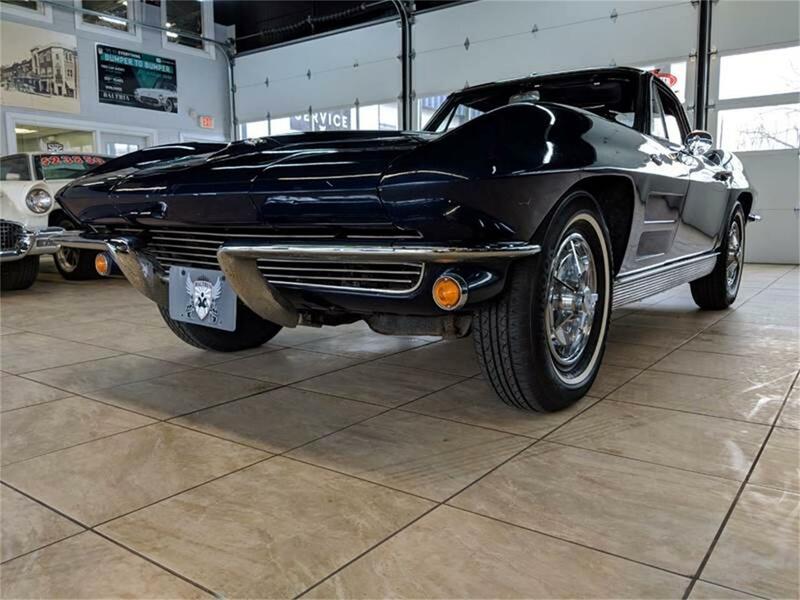 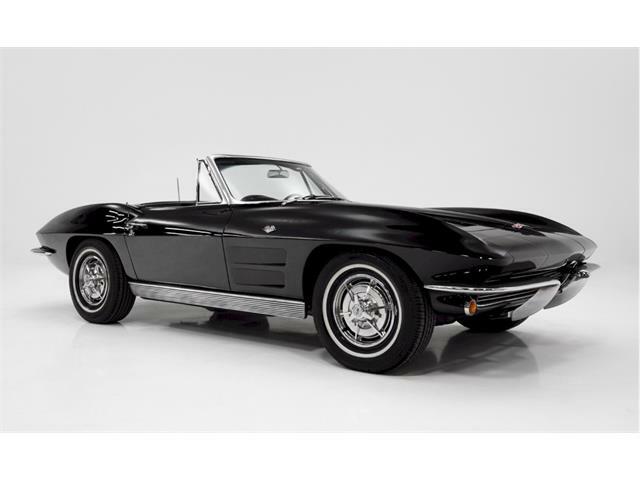 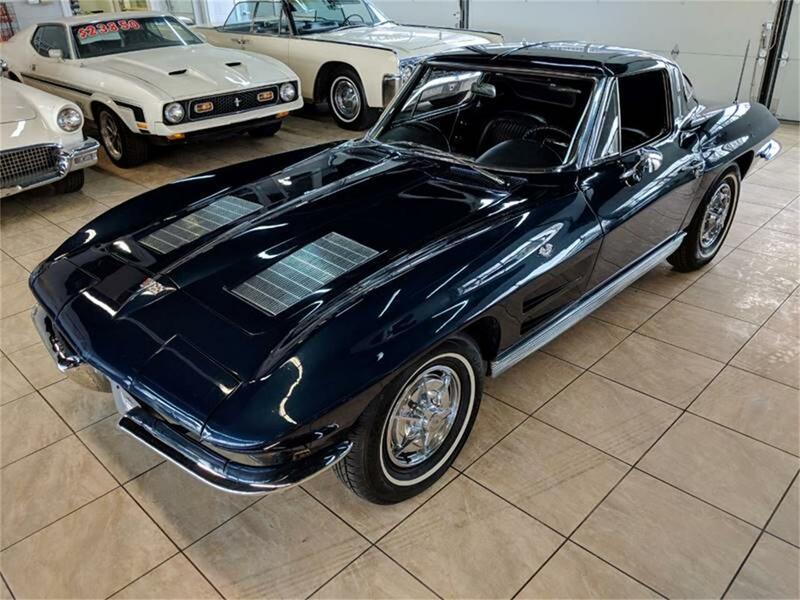 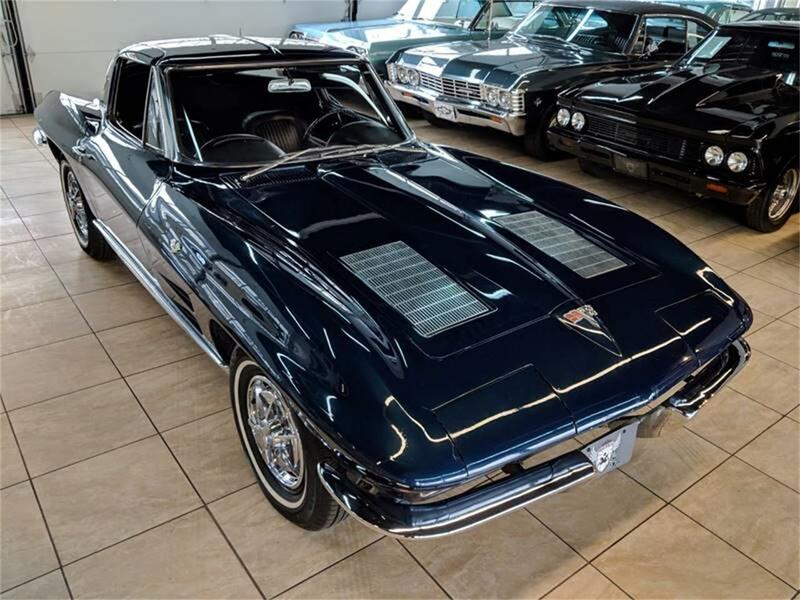 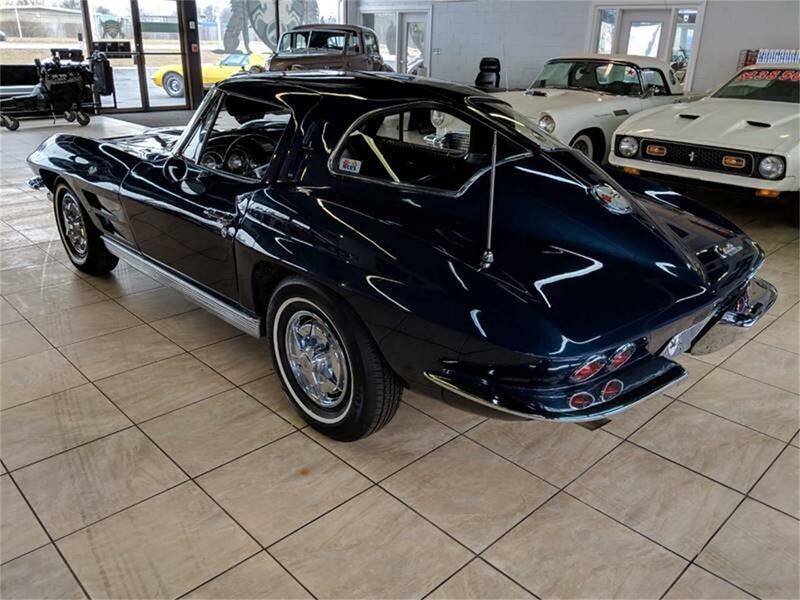 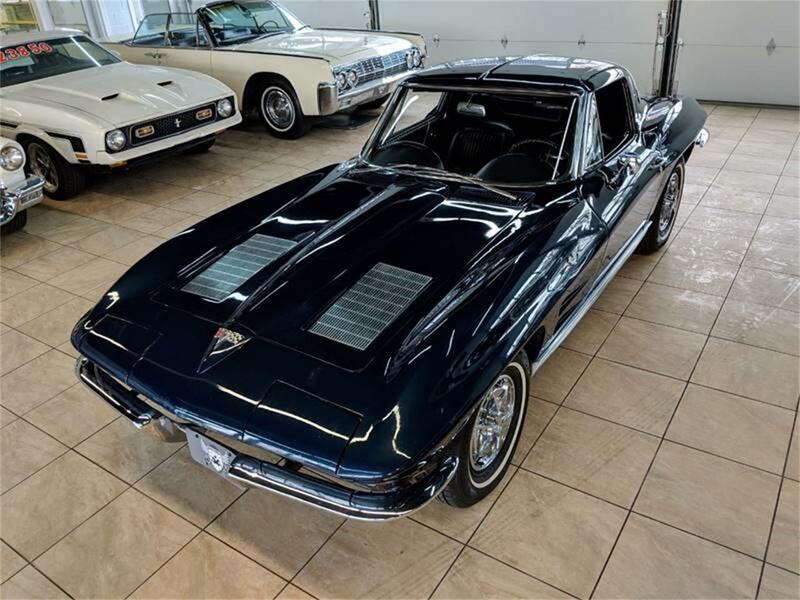 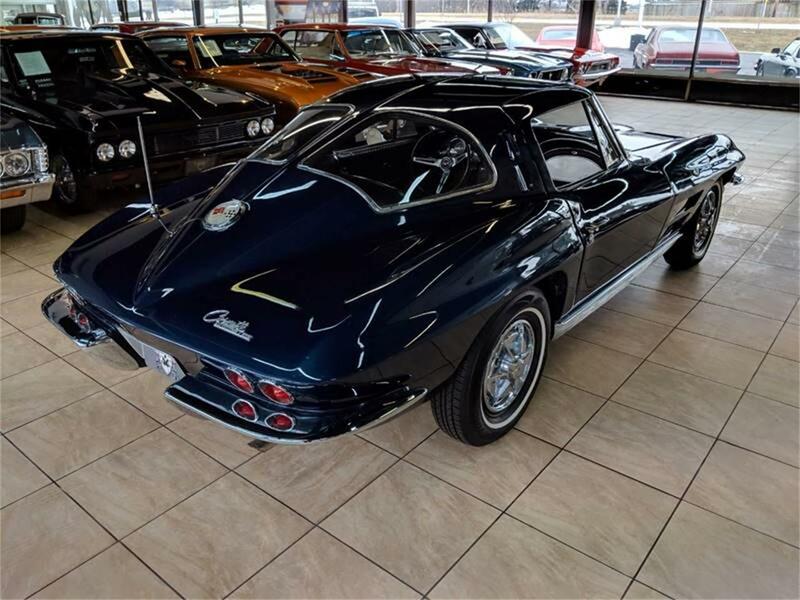 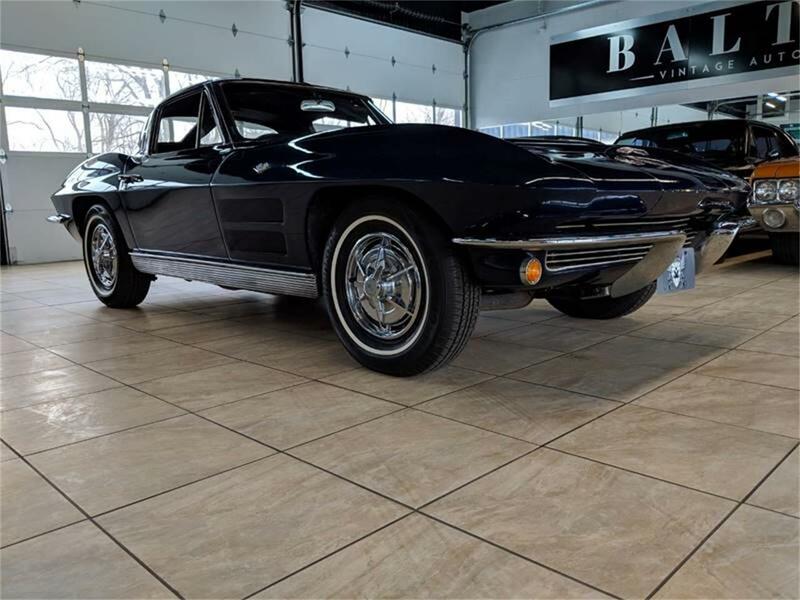 Casting number: 3782870 VIN code: 3105027 (block & transmission) Engine suffix code: FI206RD Carburetor code: 3721SA Documentation includes: an original 1963 WI license plate, Chevrolet Corvette Wonder Bar Radio Operating Instructions, 1963 Corvette Owners Guide, 1963 Chevrolet Corvette color brochure, as well as numerous receipts and handwritten notes from the previous owner. 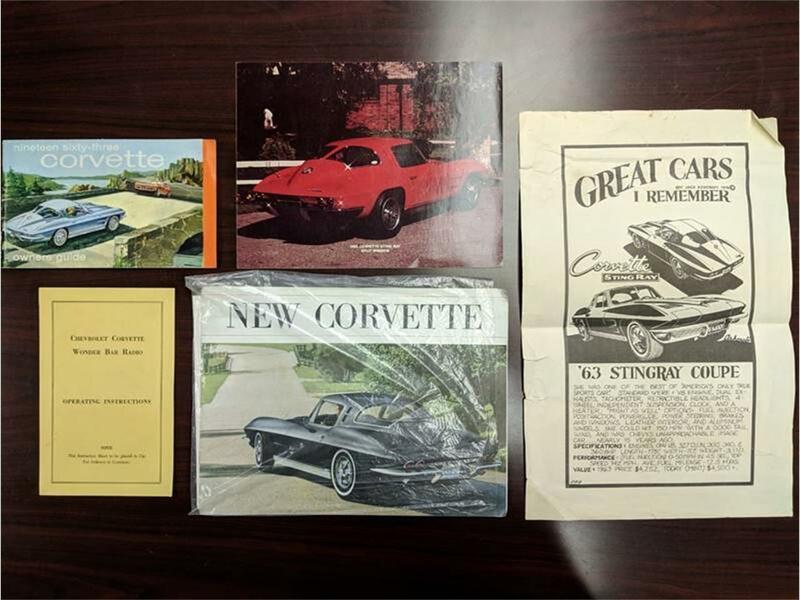 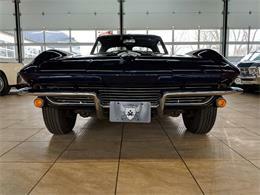 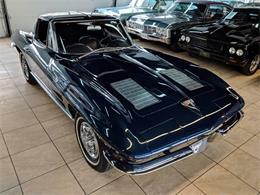 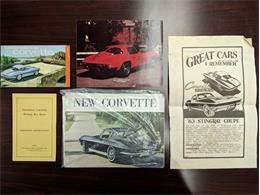 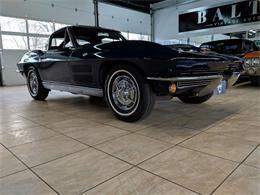 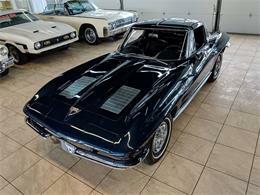 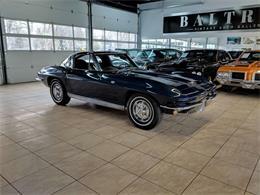 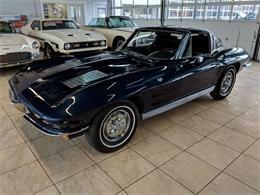 All of these are available to go along with this very original and collectible Corvette. 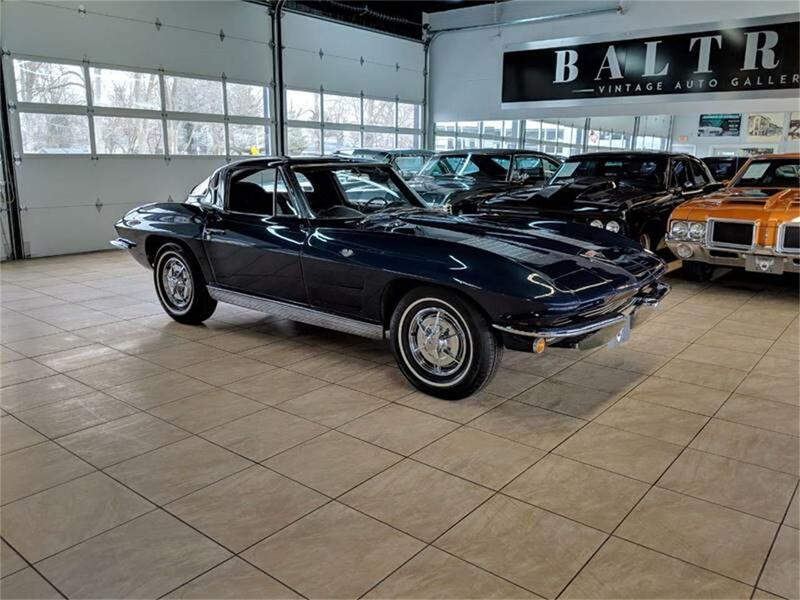 Call us today at (630) 443-4582 or send an email to sales@baltria.com for more information! 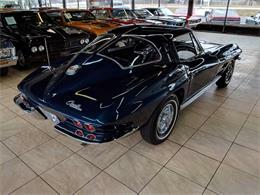 We buy, sell, and consign all types of vintage cars! 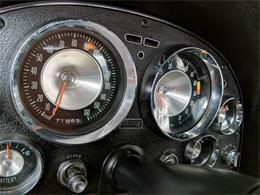 We also finance at competitive rates! 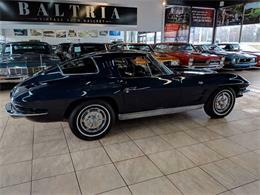 Come visit Baltria Vintage Auto Gallery at 4200 E Main St, Saint Charles, Illinois 60174. 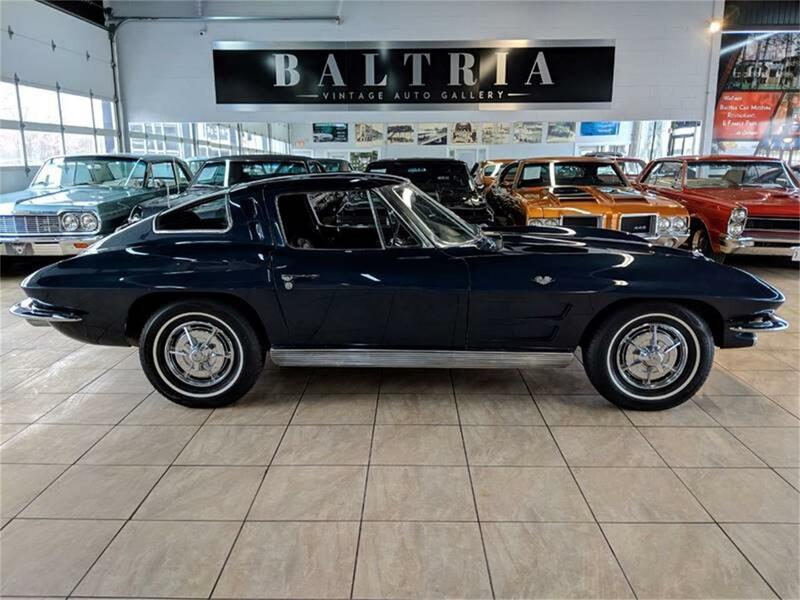 Baltria Vintage Auto Gallery also handles shipping, mechanical service, paint/body work, detailing, vehicle inspections, and much more! 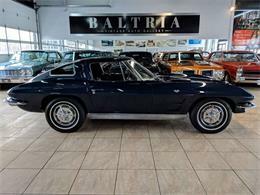 Check us out at https://www.baltria.com & Like us on Facebook! 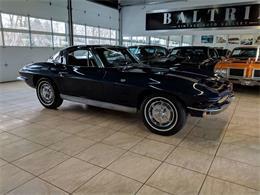 https://www.facebook.com/BaltriaVintageAutoGallery/ Vehicle is sold As-Is No Warranty unless otherwise stated. 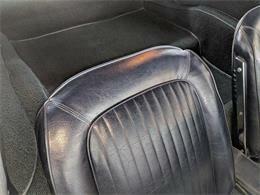 All information is presented to the best of our knowledge, but we make no guarantees on its authenticity. Buyer is encouraged to inspect vehicle and verify information independently prior to purchase.